Naked Chicken Co. is excited about your interest in our brand and joining the most exciting chicken concept in the world. Naked Chicken Co. is changing the way America eats chicken by offering a healthful alternative to fast food. Naked Chicken Co’s signature product is Bone-in Skinless fried chicken that contains zero grams of trans fat per serving. Preparing our specialty chicken includes such steps as removing the skin and using a special hand breading process. By eliminating the skin, Naked Chicken Co. is able to address consumer’s growing desire for a healthier option, making our chicken lower in fat and cholesterol than traditional fried chicken. Our house made side dishes, sauces, healthy grilled chicken sandwiches, salads and brown rice bowls will give your customers even more reason to visit Naked Chicken Co. over and over again. 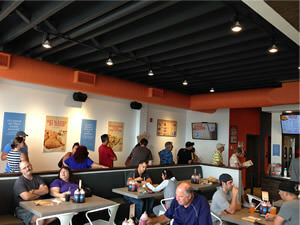 People Love Naked Chicken Co.
Naked Chicken Co. Founded in 1981 in the community of Bethpage, New York, (as Pudgie's Famous Chicken), George Sanders developed his secret chicken recipe and skinning process. The concept quickly spread throughout Long Island and by 1989 had become a franchise company. In 2007, Trufoods LLC acquired the Pudgie's brand. 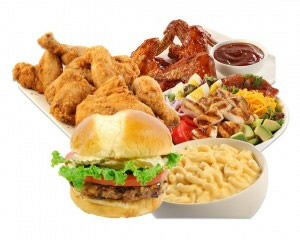 After exhaustive research, Trufoods LLC created the most unique, relevant and quality-driven chicken brand in the quick service restaurant industry, Naked Chicken Co. With the introduction of GRILLED and more "portable" skinless chicken products such as tenders, salads and sandwiches, our concept is more viable and appeals to a broader customer base. Trufoods' success is based on our ability to create new opportunities, build customer base through aggressive and effective marketing, reduce costs and improve the overall management of the brand. All franchisees must successfully complete basic training at a certified training store, as well as a 14-day training program. The program will cover day-to-day operations, cost controls, staffing, labor controls and management skills. All the training will take place in an operating shop. To assist you in your opening period, we will send one of our Regional Directors of Operations to your unit for 7-10 days. In addition to your initial training period, Trufoods LLC will provide a support team that will coach you in various facets of construction, equipment, marketing, advertising, staffing and training. Our Regional Director of Operations will also make regular visits to counsel you on business issues such as operating procedures, inventory, cost control, profitability and marketing. To ensure consistency, you will have the right to use our Operations Manual and will be provided with marketing and operational updates. We're looking for franchise owners who are outgoing and have sales, marketing and/or management experience, and who are results-oriented. A person who can build relationships, lead a team and who has the motivation to excel! Single-unit, multi-unit, area development and master franchise opportunities currently available in CT, VA, D.C., DE, FL, NJ, NY, OH, GA, TX, TN, KY, IN, LA, Al, AR, NE, MS, MO, MI, and PA. The total start-up cost for a Naked Chicken Co. restaurant is approximately $201,500 - $624,000, not including working capital. For a Single unit Franchise: Minimum Cash Required: $150,000. Financing Assistance: Yes, through a third party. We offer a 50% discount on the initial franchise fee to qualified military veterans. 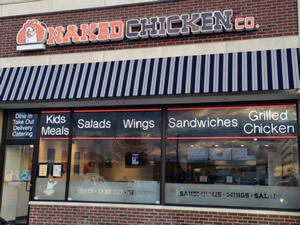 To get more information on Naked Chicken Co. Please call Gary Occhiogrosso directly at (212) 359-3600. 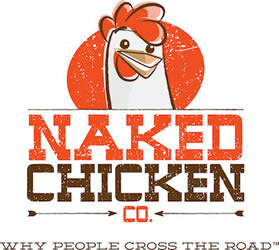 Naked Chicken Co. is currently accepting inquiries from the following states: Alabama, Arizona, Arkansas, Colorado, Connecticut, Delaware, Florida, Georgia, Idaho, Indiana, Iowa, Kentucky, Louisiana, Maine, Maryland, Massachusetts, Michigan, Minnesota, Mississippi, Missouri, Nebraska, New Hampshire, New Jersey, New Mexico, New York, North Carolina, Ohio, Oklahoma, Pennsylvania, Rhode Island, South Carolina, Tennessee, Texas, Virginia, Washington, D.C., West Virginia, Wisconsin. Interested parties should have at least $150,000 in liquid capital to invest.